Rodriguez designed the carton for the limited-batch flavor, which was created in resistance to the Trump administration. 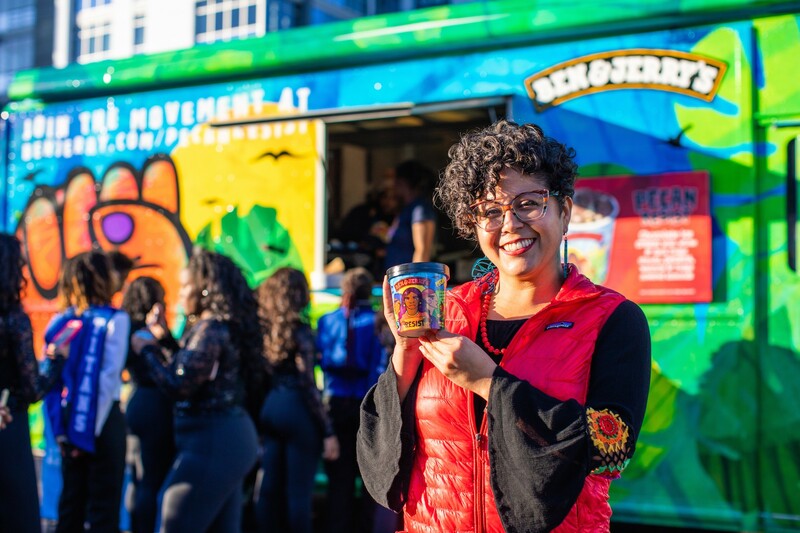 Ben & Jerry’s released this week a limited-batch flavor called Pecan Resist — and the carton is graced with the vibrant art of Oakland mixed-media artist and activist Favianna Rodriguez. 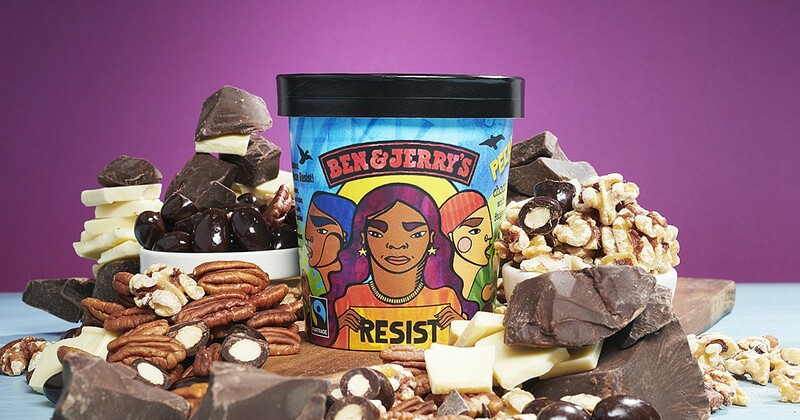 In connection with Pecan Resist, Ben & Jerry’s is donating a total of $100,000 to four organizations that align with the company’s values in the face of the Trump administration: Color of Change, Honor the Earth, Women’s March, and Neta. Pecan Resist is a rebranded version of the popular flavor New York Super Fudge Chunk, which consists of chocolate ice cream with white and dark fudge chunks, pecans, walnuts, and fudge-covered almonds. This isn’t the first time Ben & Jerry’s has rebranded a popular flavor in connection with a social cause. But according to Bumps, it is the first time Ben & Jerry’s has featured art on its carton. “It was a really cool opportunity for us to work with somebody [who] had like-minded values, and somebody as talented as her,” Bumps said. Rodriguez also runs the nonprofit CultureStrike, a collection of artists working toward social justice. Rodriguez said that since Trump was elected, “I’ve had to be not just making art, but participating in building social movements.” She recently went to the Mexico border to protest the separation of families. With CultureStrike, she also created an art project, #ClimateWoke, about the disproportionate impacts of climate change on communities of color. Rodriguez’s design on the Pecan Resist carton features three characters. Two of them are women and one is genderqueer; all are people of color. “I wanted to showcase women of color in leadership. … I wanted to show dignity and also some fun in the images,” she said. The character on the right is a woman wearing a red hijab, inspired by her friend Linda Sarsour, a civil rights activist involved in the Women’s March. The character on the left is genderqueer. “I wanted to show a more masculine-looking person who’s fighting back,” Rodriguez said. Pecan Resist is available in Ben & Jerry’s scoop shops, including the Jack London Square location, and on Ben & Jerry’s website.